We are a web design company based in Houston, Renfrewshire near Glasgow. We believe in creating affordable website designs which look great and meet our customers' business needs. 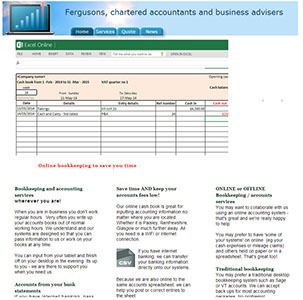 We cater to a range of different budgets and offer a fast, friendly and reliable service. A dedicated waxing salon in Glasgow. We created a fresh-looking website that looks great on mobile and tablet devices and which allows customers to book appointments on line. A firm of Chartered Accountants. We created a moblile and tablet friendly website to help them promote their services. 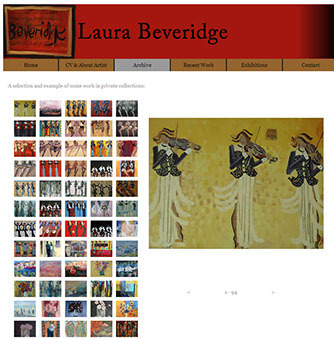 We created a website for local Houston artist Laura Beveridge. This site features a gallery to display her art work. 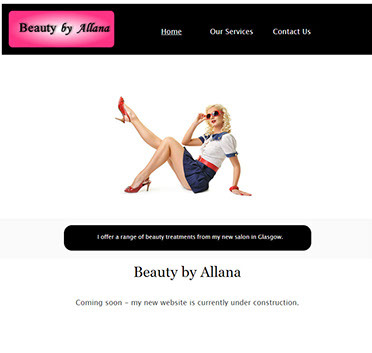 We created a website for the new Glasgow based salon Beauty by Allana.